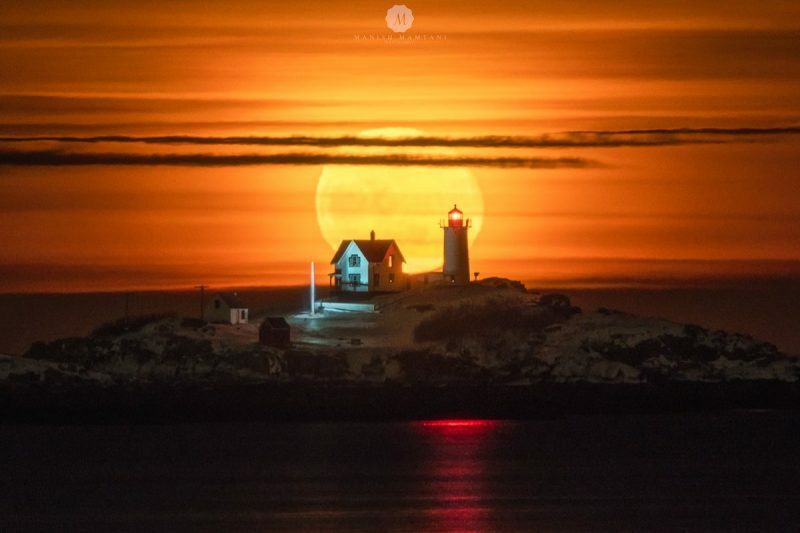 Just past full, a brilliant moon rises behind the 1874 Nubble Lighthouse in York, Maine. Photographer Manish Mamtani captured 2 views. View larger at EarthSky Community Photos. 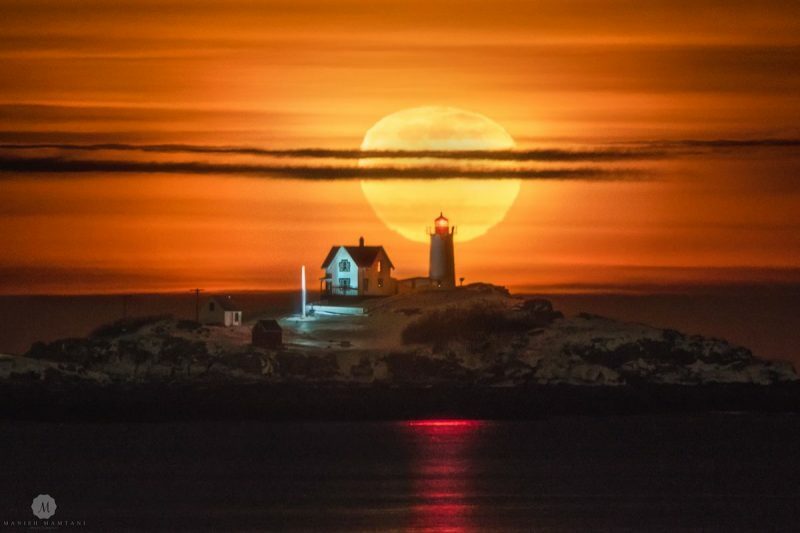 | The barely gibbous moon (just past full) rises over the Nubble Light in this photo by EarthSky friend Manish Mamtani. I was really upset as I couldn’t capture the full moon rising over the Nubble lighthouse due to bad weather. I just decided to go out the next day and take pictures without expecting much. My day started with a brilliant sunrise and ended with one of the most dramatic moonrises I have ever seen. Didn’t expect much but couldn’t ask for more. View larger at EarthSky Community Photos. | In this photo Manish caught the rising moon, just one day past full, perfectly aligned with the Victorian lighthouse. Beautiful work, Manish! Photos made with Sony A7R iii + Sony 70-200 f2.8 G-Master with Sony 2x teleconverter.